Cornet Falls in Telluride, Colorado, is an 80 foot waterfall and requires a short 1/4 mile hike to experience. 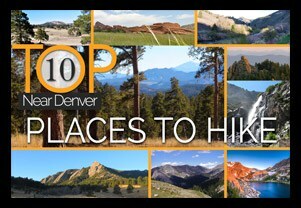 The hike begins in town and affords views down into this beautiful Colorado mountain town. 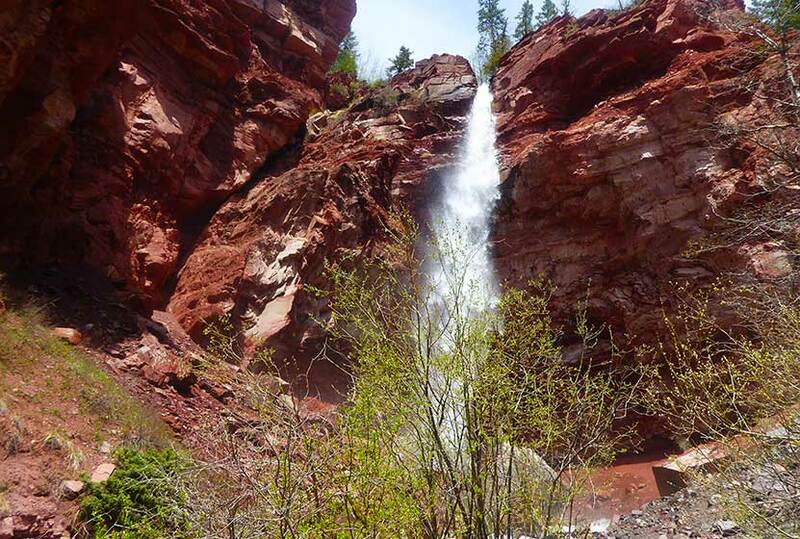 Explore the full Cornet Falls hike profile below for trail map, driving directions, and all the details you need to enjoy this hike in Telluride, CO. 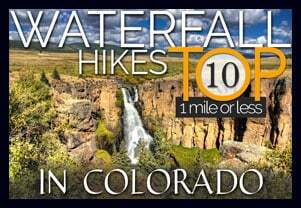 The hike to Cornet Falls begins at the the Jud Weibe Trailhead in Telluride, Colorado. There is no designated parking area for this trailhead, so hikers will need to find acceptable parking along the streets or at public parking in town. The hike from the Jud Weibe Trailhead to Cornet Falls is only a 1/4 mile. The trail makes its way through a lot of loose and slippery rock before it opens out to a backdrop of vermillion cliffs with 80 foot Cornet Falls jetting over the side. Stay to the right side of the creek for the proper trail leading to the waterfall. Wear Good Footwear: Because of the loose rock and slippery surfaces, be sure to wear a durable pair of shoes or boots that will give you good traction for this hike. Need a new pair of boots? Then be sure to check out our boot review of 3 recommended hiking boots. 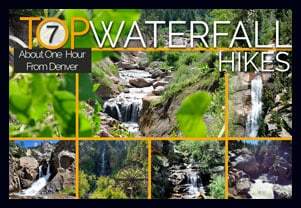 Explore More: For a longer adventure, hikers can stay on the Jud Wiebe trail and complete the 3 mile loop that features expansive views into the town of Telluride and ovf Bridal Veil Falls in the distance. Photo: We would like to express our gratitude to Dan Wilnai for sharing such an amazing photograph of this hike to Cornet Falls.